Zachary “Zak” Frieders, director of UC Davis Study Abroad, recently received the Lily von Klemperer Award for leadership in his field, sharing his skills, knowledge and expertise with colleagues, and maintaining the highest standards of professional ethics. NAFSA: Association of International Educators, originally the National Association of Foreign Student Advisors, presented the first such award to von Klemperer herself in 1988, honoring her as the founder of the education abroad profession in the mid-20th century who “for years continued to be a true mainstay for the growing numbers of professionals in that new field.” The award has been presented almost every year since, recognizing people like Frieders for exemplifying her legacy. 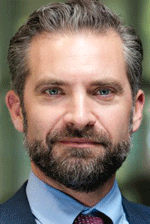 Frieders holds two UC Davis degrees: Bachelor of Science in agricultural and managerial economics, 2001; and Master of Arts in education policy, 2016. He joined the staff in 2004 as graduate program coordinator in the Department of Biomedical Engineering and moved to Study Abroad the next year. He’s been the director since 2014. During his undergraduate years at UC Davis, he spent a year abroad, studying at the University of St. Andrews, Scotland. After graduation, he spent five months working in agriculture and reforestation in the Dominican Republic. In conjunction with the award presentation in Philadelphia, during NAFSA’s annual meeting, the association posted “supporting praise” for Frieders’ work in education abroad. The comments describe his service as a coach for NAFSA’s 15th Academy for International Education; and some of his notable achievements at UC Davis Study Abroad, for example, implementing more affordable programs during uncertain economic times, increased enrollment, and the creation of an internships program coordinator position to address growing student need for internship opportunities abroad. Tracy Manuel, a junior specialist with DiPi, works on the Outpatient Radio project. The project, Outpatient Radio, weaves together stories of eight chronic pain patients from Solano, Sacramento and Shasta counties to combat the stigma and isolation of chronic pain and improve understanding of issues related to chronic pain. DiPi is part of the Department of Design in the College of Letters and Science. Susan Verba, associate professor and the DiPi director, worked on Outpatient Radio with Bo Feng, associate professor, Department of Communication; Chelsea Best and Zoe Martin, undergraduate design students; Hannah Hill, graduate student in textiles; George Slavik, graduate design student; and Kenna Fallan and Tracy Manuel, junior specialists with DiPi. 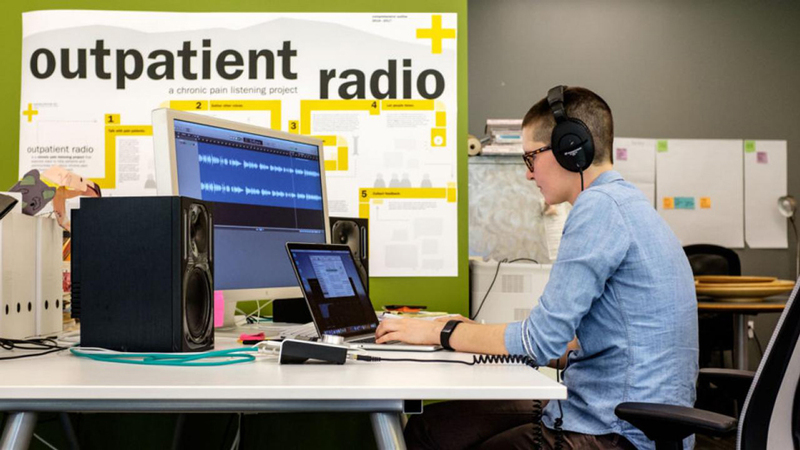 Outpatient Radio is part of DiPi’s flagship effort, The Pain Project, which seeks to address problems in pain communication by redesigning existing tools and creating new ones, both with and for health care providers and patients. Outpatient Radio is a collaboration with Hill Country Health and Wellness Center, with support from Art Rx, a project of UC Davis Health and the Crocker Art Museum. An international association this week honored UC Davis-based Risk and Safety Solutions, or RSS, with multiple awards for the third year in a row. RSS develops safety and compliance software — more than 20 applications to date — available within UC and beyond. RSS is governed by a board of directors whose members include UC Davis’ associate vice chancellor for Safety Services and UC’s chief risk officer. This year's round of awards from the Campus Safety Health and Environmental Management Association, or CSHEMA, "is yet another recognition of the creativity and innovation that the RSS started 10 years ago,” said Safa Hussain, executive director of Risk and Safety Solutions. In the marketing category, RSS earned an Award of Honor (CSHEMA’s highest level of recognition) for UC’s 2017 Risk Summit campaign and an Award of Merit for the UC Safety Spotlight. Chemical Inventory Administrator Solution — A group of tools that assist in reporting of chemical quantities and locations to campus, state and federal officials. Pre-Inspection Report — Used by individual labs to aggregate a variety of data, for example, on hazardous chemicals in the lab, previous inspection findings and corrections, and employees’ required training and personal protective equipment. The awards presentation took place Monday (July 9) at CSHEMA's annual meeting, which runs through Wednesday in Baltimore. Cox and Becky Grunewald, manager of UC Davis’ Laboratory Safety Review Program (in Safety Services), accepted the award for Pre-Inspection Report; while Kellan Lamb, senior product developer in Risk and Safety Solutions, accepted the award for Chemical Inventory Administrator Solution. Brent Cooley, deputy director of Environment, Health and Safety at the UC Office of the President, accepted the marketing awards.